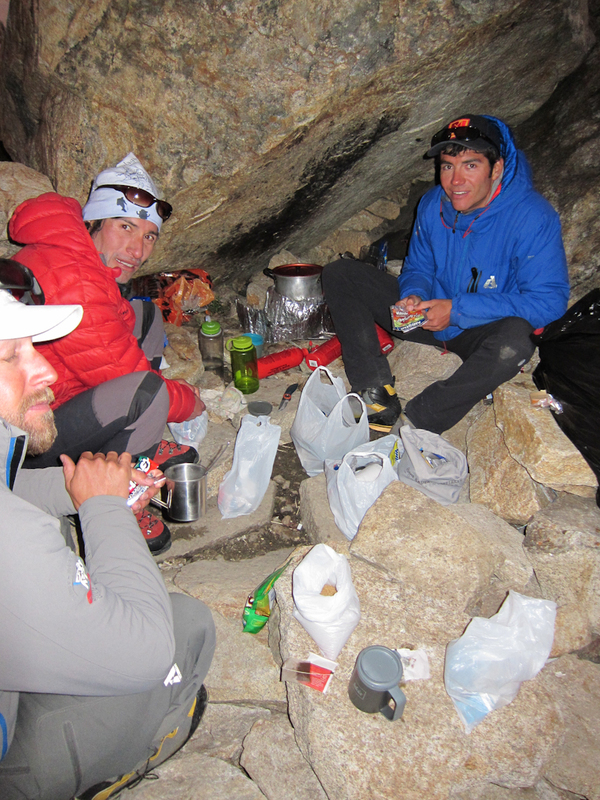 Monday, July 7th was our 6th day in the Ishinca valley. 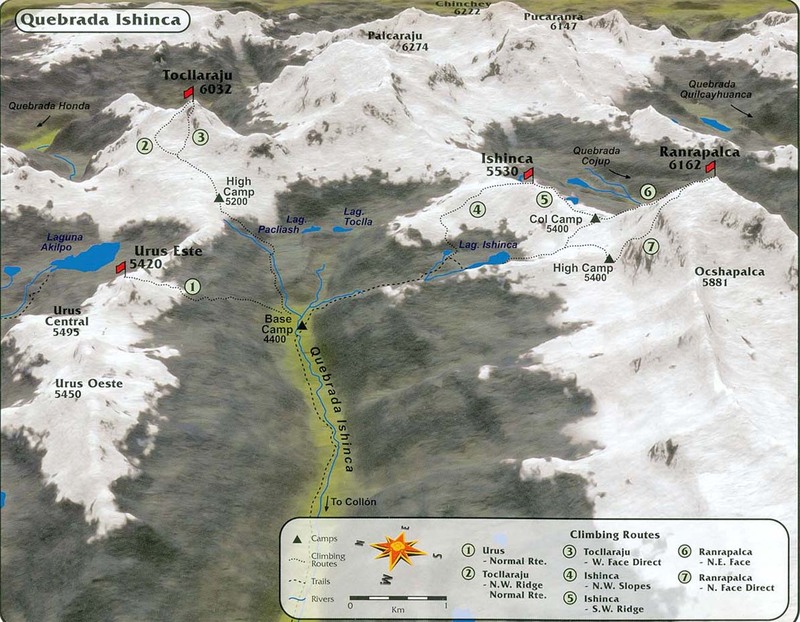 Today we would be climbing Nevado Ishinca, the peak after which the valley was named. 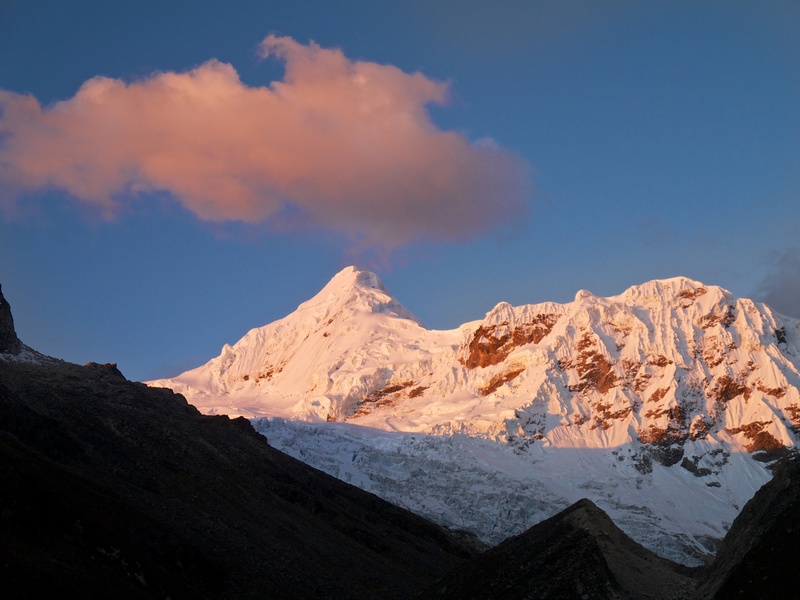 Ishinca is a Quechua name meaning bare, perhaps because of the asperity of life in these high regions. 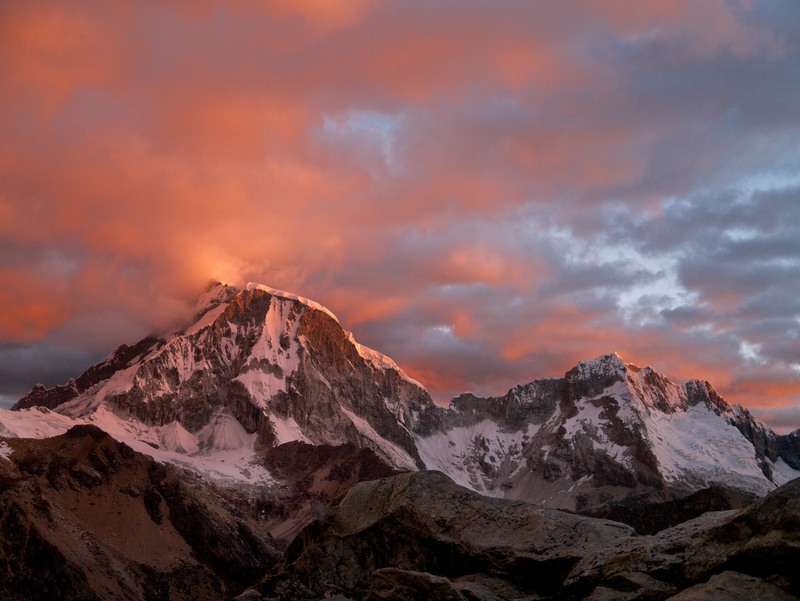 The name might however be derived from Ishkinka (to take care of him who falls) since there is always the danger of slipping and falling in these rugged peaks. 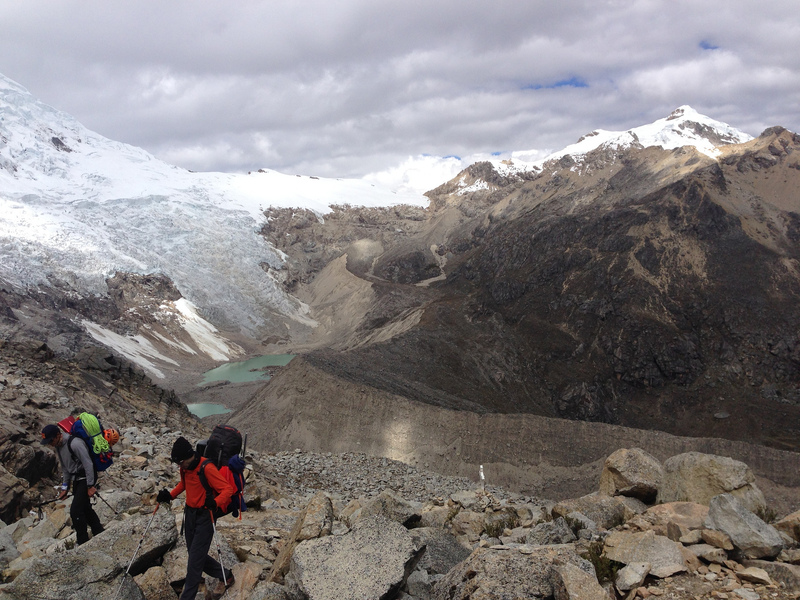 We had a chance to survey Ishinca from the flanks of Urus two days prior. 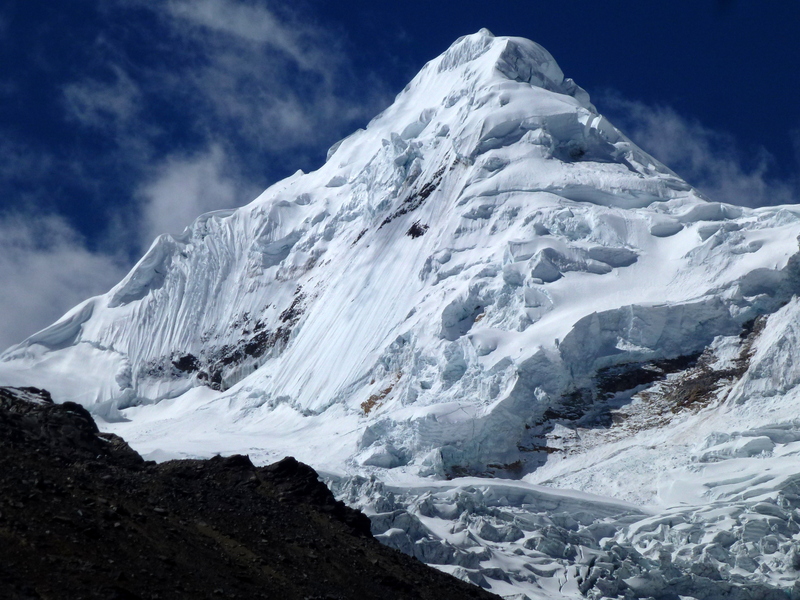 At 18,143′, Ishinca is a pretty serious mountain. However, when viewed next to its imposing neighbor Ranralpaca, Ishinca looks like an insignificant pimple. No matter, ascending this little 18,000 ft pimple was not easy and it would prove to be one of the most fun and rewarding days I have ever had in the mountains. It is hard to explain why I am called to the high mountains. I love the beauty, challenge, and overcoming fears, but does it justify cost, risk, and sacrifice needed to climb big mountains? What ever the reasons the call of the mountains is strong. Even while my legs were still aching from my assent of Rainier, I was dreaming of what my next big climb would be. Originally I was planning on heading to Mexico to climb some large volcanoes (Orizaba and Ixtca). 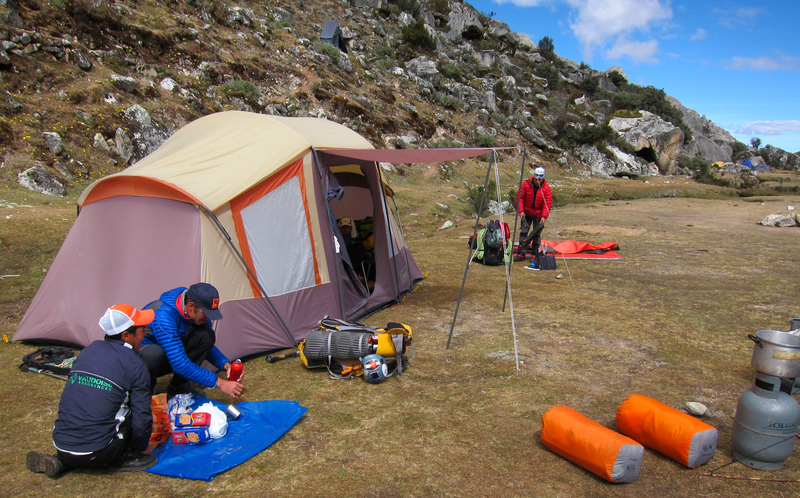 Then I found a two week expedition skills seminar in the heart of the Peruvian Andes. 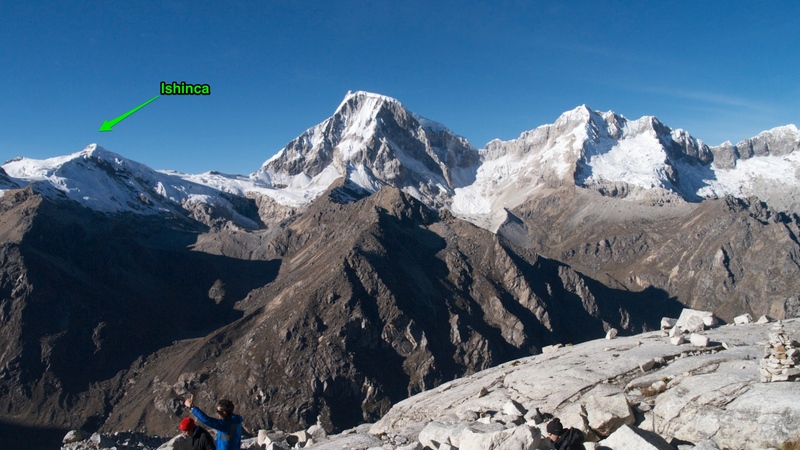 So for me, the first two weeks of July will be spent in the the Cordillera Blanca. 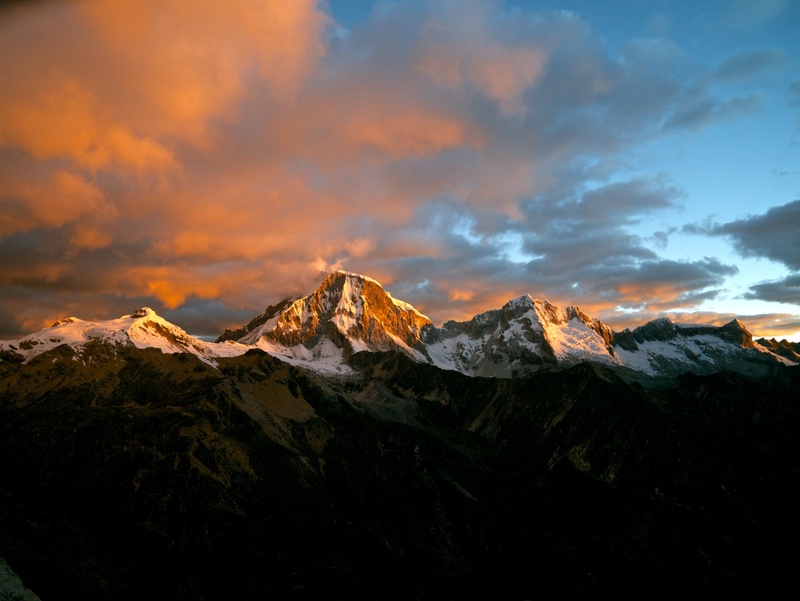 The Cordillera Blanca (white mountains) are a complex highland with permanently snowcapped peaks, some among the highest of the Andes (e.g., Mount Huascarán, at 22,205 feet). Tocllarjau is the biggest objective of the trip. It stands a mighty 19790 ft / 6032 m tall. 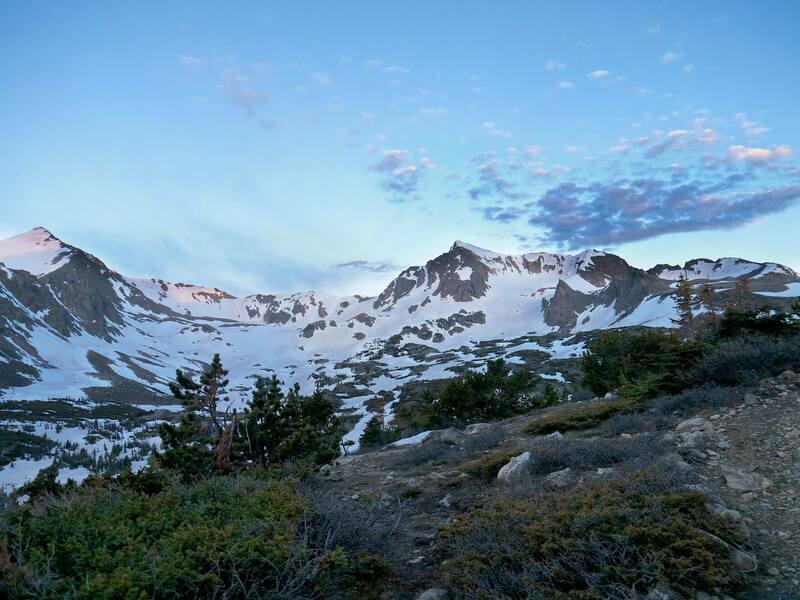 I will be spending eleven nights camped above 14,435′ a mere 4 feet lower than Colorado’s highest point (Mt Elbert 14,439′) . 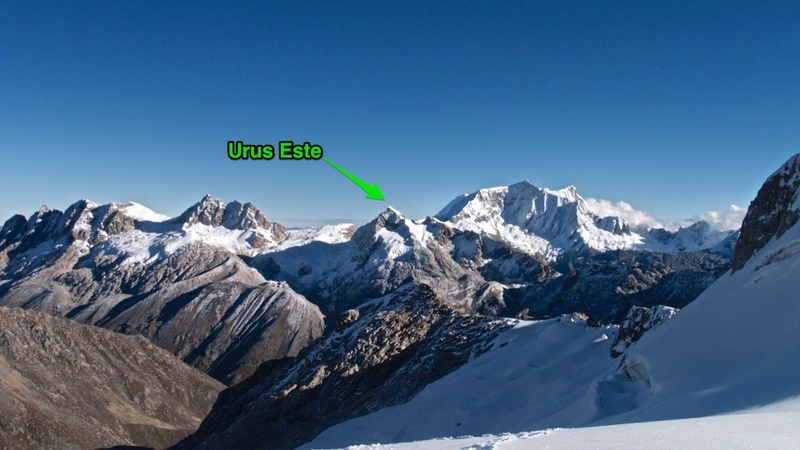 From basecamp we will be climbing three peaks Urus Este (17,800′), Tocllaraju(19,796′), and Ischinca (18,143′). 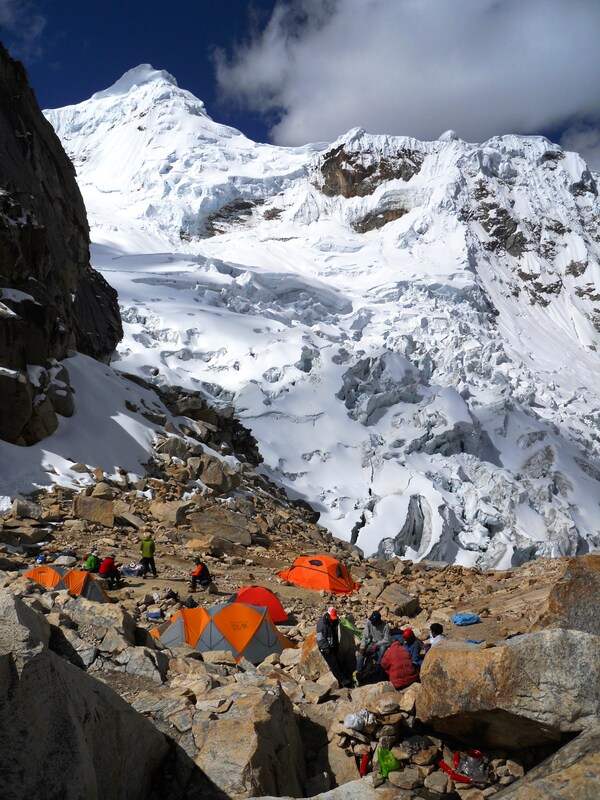 We will also spend lots of time working on climbing skills.Tocllaraju will certainly be the crux of the trip. 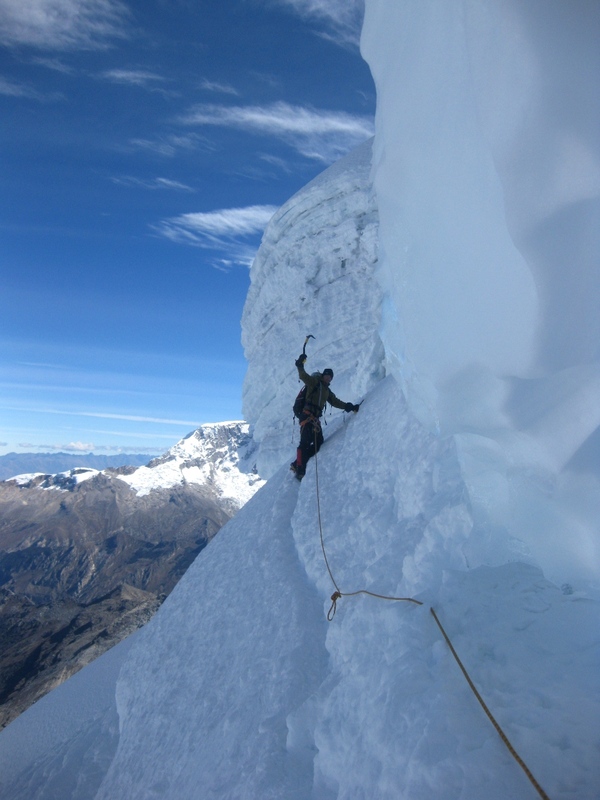 The route finishes with a 70 degree ice pitch at 19,000ft, which is sure to be a real challenge. For the last mountain Trip participants will be chosen to lead in place of the guides.